This week as I’m sure your all aware a terrorist attack took place at the Charlie Hebdo offices in central Paris, followed by several other attacks and situations in close proximity. I felt compelled to do something even just a small tribute to show my unity through this website, so this week I will feature a French cheese and dedicate this post to all the brave service Men & Women, the citizens & workers who lost their lives due to these attacks and the hostages that survive but need to heal. I have travelled to France & Paris fairly frequently in my lifetime and feel connected to the country. I’m sending my best wishes, thoughts and kindness to all those involved which in time the wounds will heal but the scars will remain to remind us of the pain we endured. Thank you for reading and the cheese features below. This week I’m featuring Vallage Triple Cream Cheese a rich, smooth & incredibly creamy cheese! This may look similar to Vignotte but don’t be fooled it has a difference in flavour. Where Vignotte has a lemony fresh edge to its taste Vallage does not mirror its sharp/ zesty edge and maintains an incredible smoothness when eaten. It has a paste like quality when ripened and is best allowed to breath so that it can ripen further. This has to be one of the most indulgent and luxurious cheeses I have eaten but you can also tell its one of the naughtiest with its triple cream. 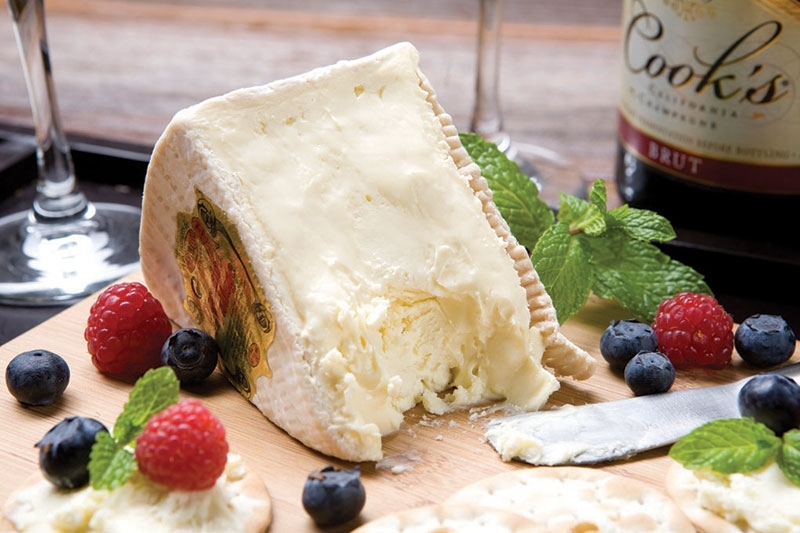 You shouldn’t feel guilty for enjoying it so much because as it was once described to me “Its like eating a slice of cloud 9!” Serve this cheese on the board with fresh fruit, French bread, on its own or even more different is with chocolate. The creaminess of this cheese and the sharp yet sweetish edge from Willie’s Cacao chocolate balance each other perfectly and can certainly push the cheese pairing boundaries, but you will be rewarded with an intricate flavour that you will want to savour. Vallage comes from Chevillon which is 3 hours from Paris and only about 1 hour from Reims, Chevillon is the region that produces this lovely creamy delight. If you haven’t tried this cheese yet its available from Waitrose Cheese Counters and a select few online shops (Its worth a hunt at the time of buying as it doesn’t seem to be that easy to get online). It is certainly worth a try but just try not to eat everything you buy in one go because that is a challenge!